The house you’ve chosen to buy may look exactly like the home you’ve always envisioned – great neighborhood, granite countertops, plenty of room to entertain. But, there may be some hidden sins that you’re not aware of. The few hundred dollars it will cost you to get a pre-inspection of the home can come back to you tenfold if there’s anything significantly wrong with the house. Even if there are no hidden problems, you’ll have peace of mind that’s so important during the house-buying process. 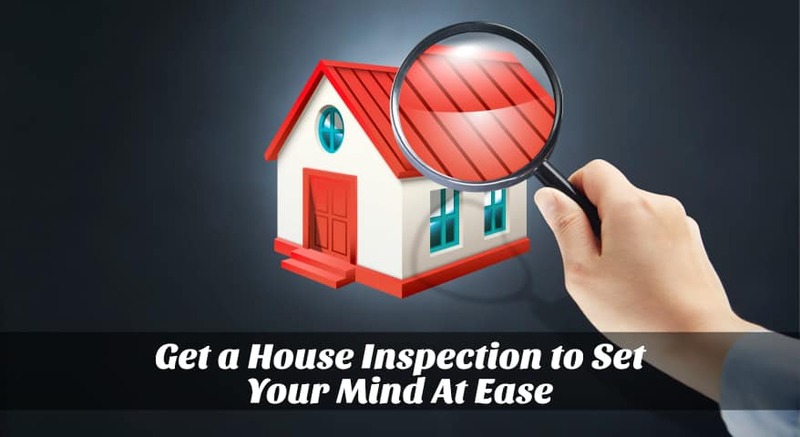 During the home inspection, the inspector will examine the home thoroughly and provide you with an evaluation of the condition of the home. Even though the home inspector may not catch every issue with the home, they are experts in what they do and can recognize costly, potential problems in the future. If the inspector finds quite a few problems with home, you can use that information to your advantage by negotiating a lower price or have it written in the contract that the owner must take care of specified repairs before the closing date. Not getting an inspection may be costly down the road. You could have faulty wiring that leads to a fire, a defective water heater and many more problems that could impact your future in the home. An inspection is especially critical if you’re purchasing a foreclosed home or an old home – even one that has been renovated. You may feel attached to the home because it appears to be the one you’ve always dreamed of – but don’t let that attachment make you blind to the red flags that may be costly and discouraging. You may need to go beyond a licensed home inspector if you suspect problems such as foundation problems and hire a structural engineer to examine the home and let you know of potential issues. If the yard of the home you’re considering slopes toward the home, there may be drainage issues and you need to get a landscaper’s opinion. Knowing ahead of time so you can make the proper changes can save time and money from flooding and water damage. The septic system of a home should always be inspected by a septic system inspector to see if the ground is wet or soft around it. That could indicate a major crack or failure of the system. Considering buying an older home? Be sure to hire a toxic substance inspector to detect whether the home has traces of mold, asbestos, lead or radon. Those can be costly or even deadly issues if not addressed. A pest inspector should be called if you notice wood shavings, soft wood or buzzing within the wall. Pests such as termites can cause an abundance of damage to your home. If your home is in an area that experiences frequent earthquakes or floods you may want to hire a geotechnical inspector to examine the home for possible problems in the home’s structure or retaining walls. You may love the big, old trees surrounding the home you want to purchase. But, beware of large roots and tree canopies which can damage what’s beneath it. The foundation, roof and driveway could all be at risk from the roots of trees. It’s worth the money to inspect your home thoroughly before signing on the dotted line to make sure you are getting your dream home and not a nightmare that will cost you more in the future.